Blurb Description: For the millions who log in every day, Warcross isn't just a game - it's a way of life. And teenage hacker Emika Chen has found herself caught up in a conflict that could change the world. Warcross creator, Hideo Tanaka, wants to use to the game to control peoples' thoughts and feelings, effectively ending free will - Zero, a mysterious (and dangerous) hacker, wants to stop him. Now Emika must decide who she will fight for. The game is on . . .
Warcross, the prequel to Wildcard, was one of my FAVOURITE books of last year. Marie Lu managed to BLOW ME AWAY with her stunning world, the plot filled with twists and turns and mostly, Hideo and Emika. I didn’t know what to expect after the cover was so… underwhelming, but THE BOOK WAS JUST JAW-DROPPING PERFECTION. 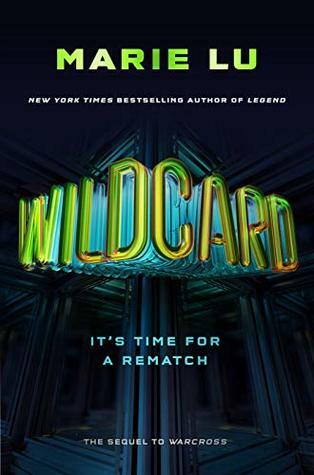 I was so nervous going into Wildcard because it’s HARD for sequels to meet expectations, but Marie Lu is a BRILLIANT WRITER and she somehow managed to keep the pace, the romance, the friendship, the game, technology and virtual reality on par with Warcross AND ALSO managed to end it in a satisfying manner. On another, not so zen note, I NEED ABOUT EIGHT MORE BOOKS IN THIS WORLD, CENTRED AROUND Roshan and Tremaine or Asher and Hammie with Hideo and Emika in the background because I love EVERYTHING about this futuristic world. descriptions of what the Neuro-Link, Warcross and Tokyo in general were so futuristic and magical that it was hard not to get sucked in and lose all sense of time and physical surroundings. 3. I LOVED the friendship between the Phoenix Riders, Hammie, Asher and Roshan in particular. They were such loyal, all-in friends and truly amazing characters. I also ADORED Roshan and Tremaine. 4. I went into Wildcard thinking I had all the information I needed and that there would be no twists, because almost everything had been revealed in Warcross, but I WAS SO WRONG. We learnt almost nothing of what really happened all those years ago in the prequel and as Marie Lu un-spun her tale, I kept flipping the pages in shock and awe because, trust me, if you’ve read Warcross, YOU WOULD’VE NEVER SEEN THIS COMING. 5. I’ll just end with saying that Hideo and Emika are life, and I LOVED the way this book ended. Would I recommend it? YES! 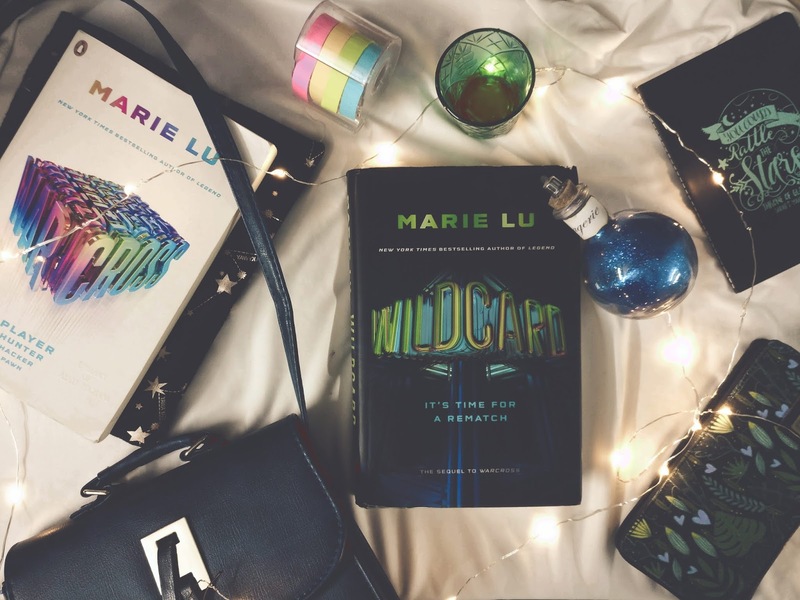 With the duology complete, it’s the PERFECT time to dive into Marie Lu’s best series to date. A futuristic, fast-paced, gorgeously plotted novel with characters and twists that will make you remember why you fell in love reading in the first place! 5 stars to this book and this series. Have you read the Warcross duology? What do you think of it? Have you read any other Marie Lu books? Which one is your favourite?